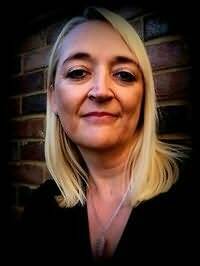 Caroline's new novel, Don't Turn Around has recently been published by Bookouture in a three book deal as part of her DC Jennifer Knight series. These edge of your seat crime thrillers are infused by Caroline's experience in both the police and the paranormal. "Atmospheric, dark and haunting, I could not put this book down." "Christie is an immensely talented author with the ability to spin words into heart-warming comedy gold." "A tale of mystery and intrigue that had me gripped from page one."